Since ancient Babylonian times, cartography, or the art of map-making, has been a primary tool by which spatial relationships are visualized. As soon as we view a map, we inherently start turning it into information by analyzing its contents and finding patterns, assessing trends, and making decisions. Organizations and individuals around the globe are increasingly developing applications that spatially visualize data either to display the address locations on a map or to perform complex spatial analysis to recognize patterns within layers of information. A new pay-as-you-go plan: You pay only for services you use. Reduction in price of routing services: We have substantially reduced the price of routing services, from US$4.00 per 1,000 routes to US$0.50 per 1,000 routes. Introduction of monthly subscription for the Builder plan: You can now purchase the Builder plan with a subscription model that fits your development needs. A monthly subscription or a discounted annual subscription. Commercial app deployment license at no additional cost: The commercial app deployment license is now included in every paid developer subscription. You can now deploy unlimited number of revenue generating apps without the need to purchase an additional deployment license. 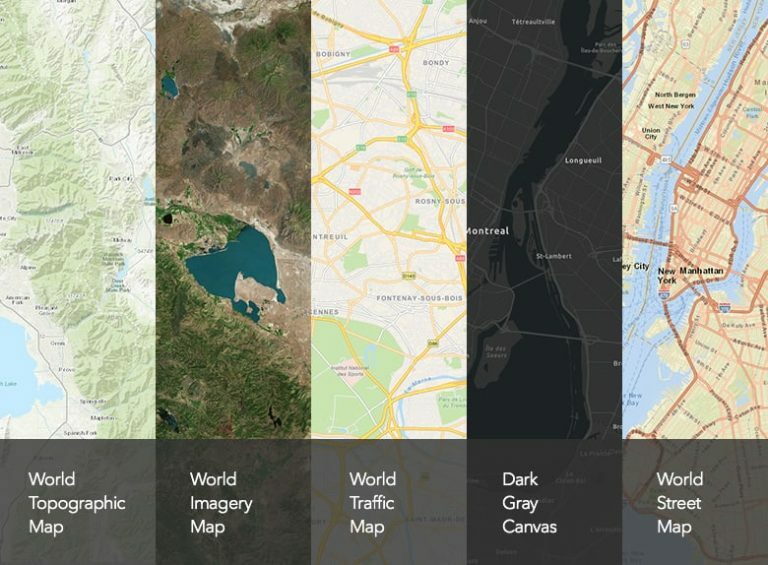 ArcGIS for Developers offers a full suite of developer tools and development resources to build mapping and analytics solutions to support business needs. 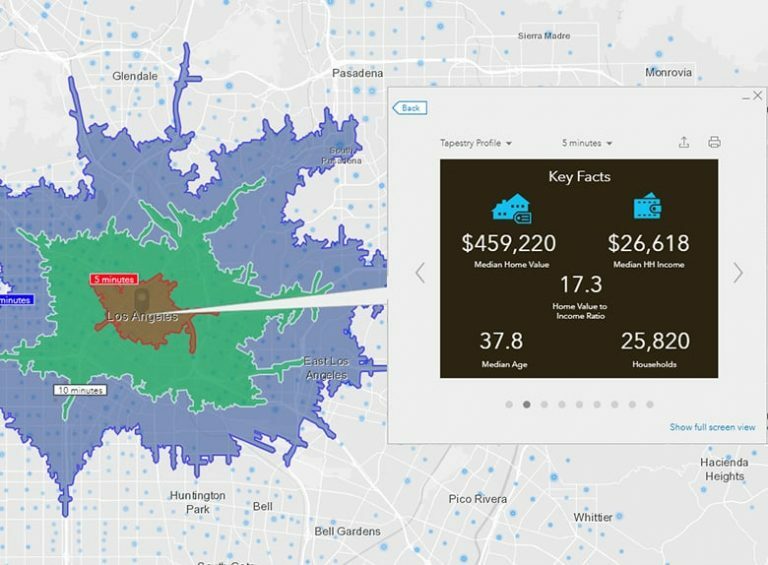 Developers can use ArcGIS APIs to create robust location-based web and native applications for web, desktop, and mobile devices. Developers can create powerful and visually stunning spatial applications with out-of-the-box smart features and powerful customization capabilities. Bring beauty, speed, scale, and power to your solutions. 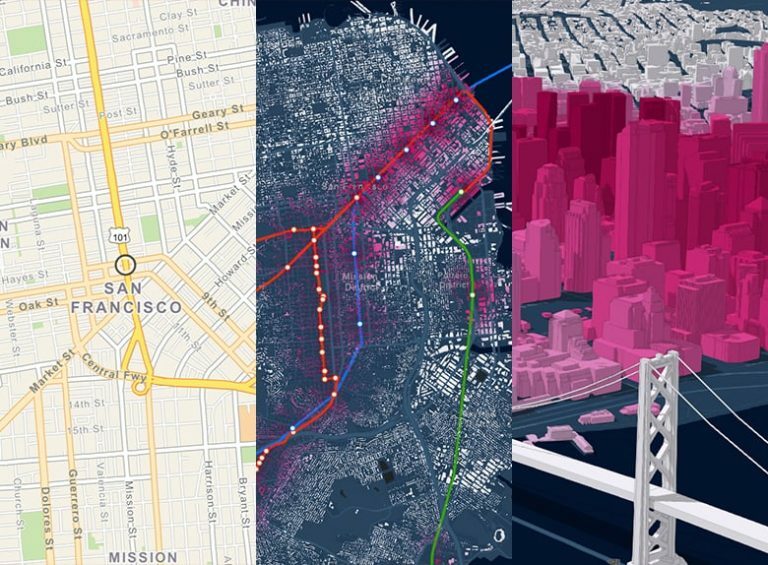 Create beautiful maps and visualizations. Utilize out-of-the box components and APIs that offer superior styling, best-in-class resolution, sophisticated symbology, and rapid application development. Integrate rich interactive visualizations in 2D and 3D and take advantage of data-driven visualization. Fig 1: Create rich, interactive, intelligent data visualizations and interact in 2D and 3D. Speed up your development and go-to-market faster by easily integrating our out-of-the-box widgets and native components in your applications. Perform sophisticated data-driven visualizations by leveraging our Smart mapping capabilities to create immediate meaningful visualizations with color schemes based on your data’s statistical properties. Get access to dozens of geographic information services offered through our Living Atlas. Fig 2: Access a collection of global geographic information including a wide variety of vector basemap styles. Enhance your authoritative content with information about people, places, businesses, demographics, and tapestry. Fig 3: Enhance your data with information about people, places, businesses and much more. Powerful data handling capabilities. You can host large amounts of your data securely in ArcGIS Online. Take advantage of powerful data editing capabilities and client-side query, analysis, and map projections. ArcGIS for Developers also enables robust offline support for data, including editing, routing, and geocoding. Get started for free by enrolling for the Essentials plan. The Essentials plan lets you to start developing at no cost and with no commitment … no credit card required. It is designed to give you access to all the software and resources you need to be successful with the ArcGIS platform. If you require additional services, you can take advantage of the pay-as-you-go plan and upgrade to the paid Builder plan when you are ready to deploy your revenue-generating apps. At Esri, we are committed to delivering the most innovative solutions to help you succeed. With these enhancements, we aim to deliver an improved experience that brings the power of mapping to all developers and provides greater simplicity and accessibility at a more flexible price. You now have greater freedom to build, manage, and deploy apps as quickly as possible by using the specific tools you need, when you need them, and priced to fit your individual needs.